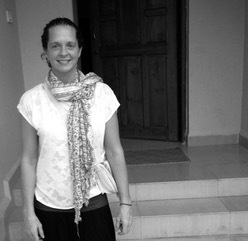 Layla is a qualified Ayurveda practitioner working at The Perrymount Clinic. She offers individual nutrition and lifestyle advice to balance mind with body and spirit to discover a healthy way of living that not only eases ailments, but also prevents disease developing. Ayurveda is a life long path to regain and maintain your health through natural remedies, lifestyle changes and food choices. Herb tablets, powders and other remedies are additional and offered after a consultation on an individual basis. The type of oils are chosen specifically to the clients constitution and imbalances where appropriate. The oils help to stimulate healing, and create a calmness along with the massage techniques used. There are two main aims of Ayurveda massage. They are to stimulate digestion and eliminate toxins. By stimulating digestion we actively create a healthy system throughout. This is also the main aim of the nutrition recommendations. Everything begins with the body’s digestive system, the agni.